There’s a new celeb romance in the air! 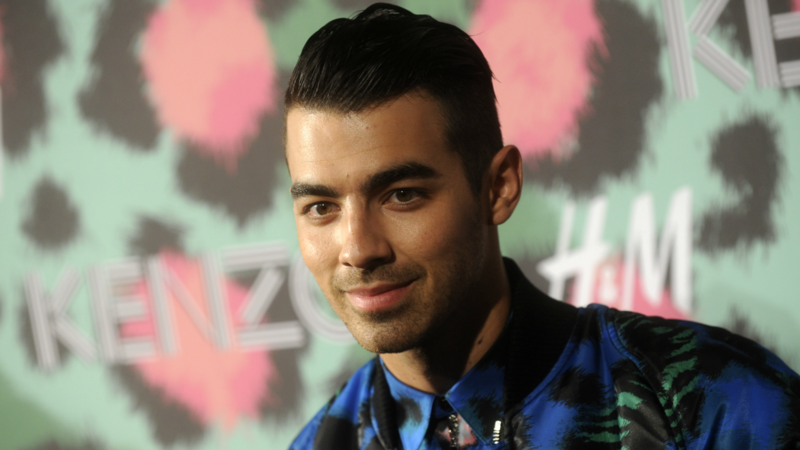 Joe Jonas is reportedly getting very cozy with a certain Game of Thrones star: Sophie Turner. Onlookers spotted — and snapped pics of — the two sitting together at the pre-MTV Europe Music Awards Kings of Leon concert at the Oude Luxor Theater in Rotterdam, Netherlands, on Saturday. One Twitter user, who posted photos of Jonas and Turner cuddling and kissing in the crowd, told People magazine about what she saw. Jonas and Tuner have hung out before this, though not one-on-one. A mutual friend posted a photo on Instagram that showed them rocking their Halloween costumes — Jonas as a Dalmatian and Turner as a sequined bunny — in a group shot. Neither of them has said anything about their relationship, and People says their reps didn’t return requests for comments. But Turner should probably be ready for this to just be a casual fling, because the magazine reports that a source told them Jonas, who last dated Gigi Hadid until their breakup almost a year ago, is far from ready to settle down. “She has had a crush on Joe for a while, but Joe isn’t going to be a one-woman guy right now,” the insider said.